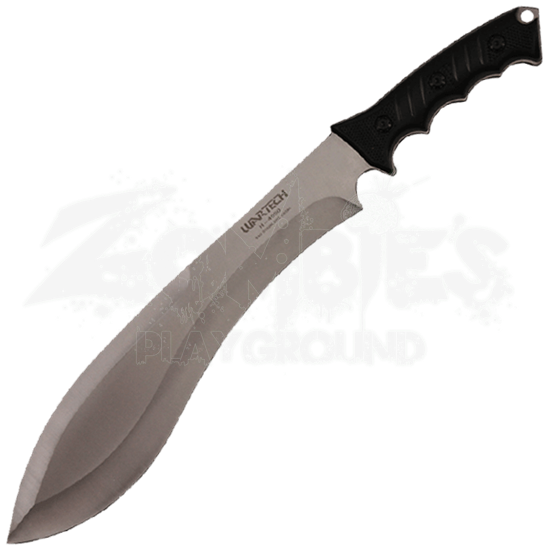 For those times when you wish to leave modern conveniences behind and rely on your own instincts, the Stainless Steel Kukri Survival Knife offers strength and durability for the myriad of tasks and challenges that mark your way. 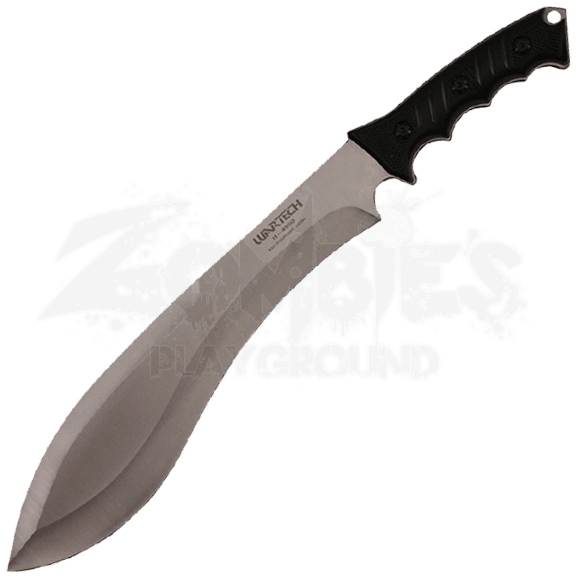 The blade follows a traditional style that has proven its worth for centuries, allowing the survivalist to slice and chop their way through various projects. Finger grooves line the lower half of the black ABS handle. Textured lines strengthen the grip. A lanyard hole appears at the tip of the handle. A black nylon sheath is included for convenient carry and easy storage when not in use.